When you're looking for quality paving services in Northern Indiana, Asphalt Maintenance & Construction is perfect for you. We are a licensed paving and asphalt company in Granger, IN, that can provide same-day services depending on our current schedule. Our work comes highly recommended by many of our past customers. In fact, much of our success is due to word-of-mouth advertising within our community. 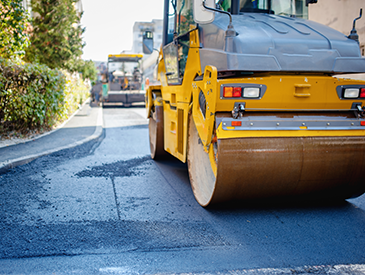 Call us today to learn more about our fast, reliable, and affordable asphalt services. The state of your business’s property matters. 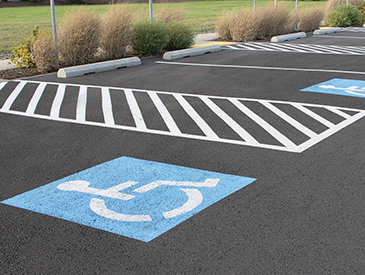 When customers or potential clients visit you, you need to make the right impression with a well-maintained and safe parking lot. Count on our crew for professional asphalt installation and repair. We work on commercial parking lots, driveways, and sidewalks, handling everything from pothole patching to striping. Thanks to our extensive experience and resources, no project is too big or too small for us to handle. Furthermore, we have the manpower and flexibility to work around your schedule. Our goal is always to finish your project quickly with minimal disruptions to your usual hours of operation. 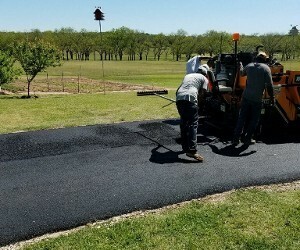 Reach out to our crew today to get a price estimate and timeline for your asphalt or paving job. 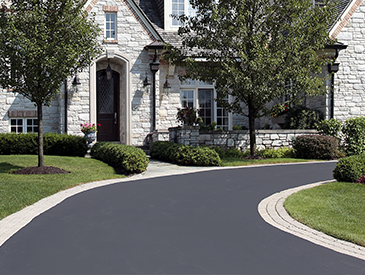 Make your home more welcoming with asphalt and paving work by our crew. Whether you need driveway construction or repairs for your walkway, we can help. We work closely with you to determine what work is necessary around your home and the most cost-effective solutions. Our mission on every residential project is to boost your curb appeal, enhance your property’s safety, and make your home a better place to live. Call today to request a consultation and learn more about our residential services available from our paving and asphalt company. We look forward to helping you set the standard on your street. Our foreman, J. Carroll, has over 30 years of experience as an asphalt and paving contractor. He's a second generation contractor, having taken over our family-owned-and-operated asphalt company in 1978. Since our firm’s beginnings in the early 1950s, we’ve been committed to providing the best local asphalt and paving services. Contact us to request an asphalt or paving consultation for your project. We’re located in Granger, Indiana, and proudly serve clients throughout South Bend, Elkhart, and the rest of northern Indiana. Monday - Sunday, 7:30 a.m. - 9:00 p.m.